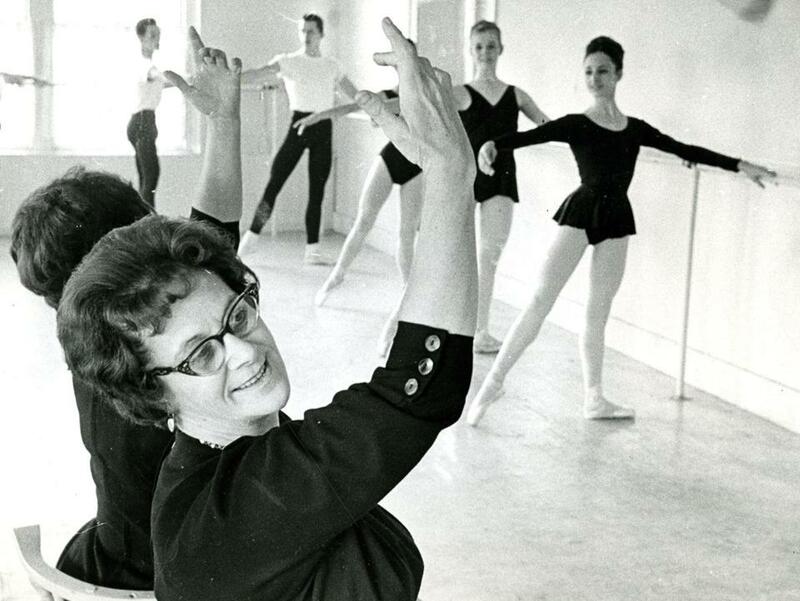 Boston Ballet founder E. Virginia Williams, at a studio on Mass. Ave. in Boston. The “E.” stood for Ellen. Other than the inscrutability of that initial, E. Virginia Williams was not someone given much to mystery. She had a famously forthright manner and an inimitable voice, with a pronounced Boston accent that never left in doubt the identity of the speaker. Certainly, there was no great mystery about Williams’s two passions, which united to become a third. She loved dance. She loved to teach. 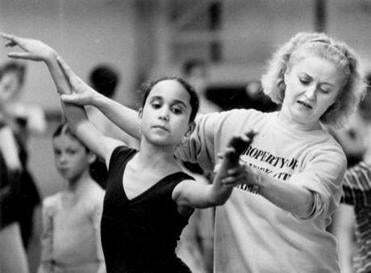 She brought the two together to form New England Civic Ballet in 1958, then Boston Ballet in 1963. Born in Salem in 1914, Williams grew up in Melrose. That’s where she would open the first of several ballet schools. Others were in Malden, Wakefield, Stoneham, and Back Bay. She liked to say that the reason she formed a company was that she hated to see her students have to move elsewhere to find jobs. Williams’s father was descended from Roger Williams, the founder of Rhode Island. Her mother’s family went back to the first boat to land at Plymouth after the Mayflower. Williams’s grandfather had owned five clipper ships in the China trade, sailing out of Salem, and her mother sailed around Cape Horn on one of the family ships. A glimpse into the company’s milestones over the past 50 years. It was dancing that took. Like any dancer, though, Williams loved music. Her second husband, Herbert Hobbs, was a pianist and organist. Her first marriage, to Carl Nelson, ended in divorce after 12 years. The couple had a daughter, Carla. Williams was drawn to many forms of dance. That catholic taste would find notable expression in the early years of Boston Ballet, when works by Alvin Ailey, Paul Taylor, and Merce Cunningham were featured, as well as traditional repertoire. Williams briefly performed as a dancer with the Boston Opera company, but her father objected to any stage career. So she decided to teach dance. Another of Williams’s teachers on those New York visits was George Balanchine. He, too, had a Ballets Russes connection, having been its ballet master. But it was his subsequent position, as artistic director of the New York City Ballet and, by extension, foremost figure in American ballet, that meant he would play a crucial role in Williams’s career. 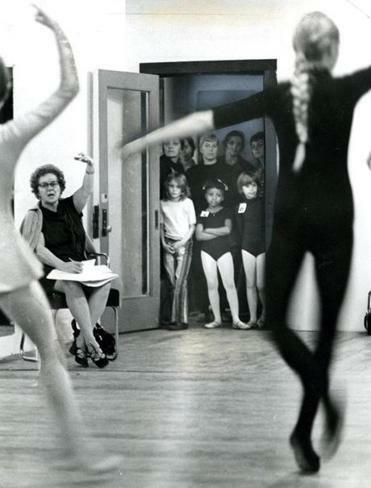 Laurita Darden (center) and Janet Farrell (right) watched girls try out for Williams at the Boston Ballet Company. She had first staged a professional ballet performance in the early ’50s, renting the Boston Opera House to showcase her students. She liked to say it took her five years to pay off the debt. “I didn’t know about [musicians’] overtime. 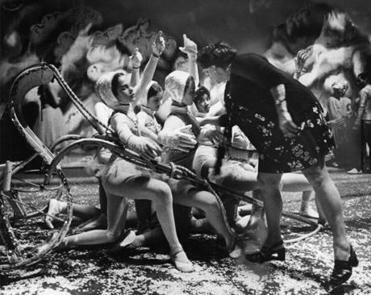 I just said, ‘Well, it’s not right yet, so keep going.’” She knew better by 1958, when she founded New England Civic Ballet. Williams did everything from take tickets to choreograph. She did the latter well enough that works of hers were performed by the Joffrey and Pennsylvania ballets. After seeing the company dance at two regional festivals, Balanchine liked what he had seen well enough to offer to coach Williams once a month in New York (the equivalent of Picasso giving someone monthly drawing lessons) and let her watch New York City Ballet classes and rehearsals. More important, he recommended the company for a $144,000 grant from the Ford Foundation in 1963. That seed money helped New England Civic Ballet become Boston Ballet. She died a year later, of complications following circulatory surgery.